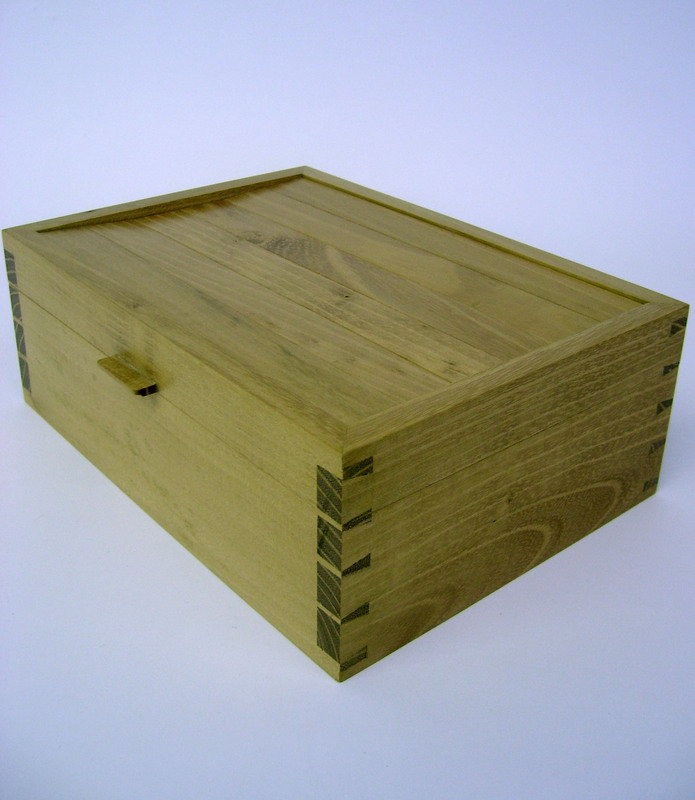 Hand-dovetailed writing boxes can be made in any wood type. 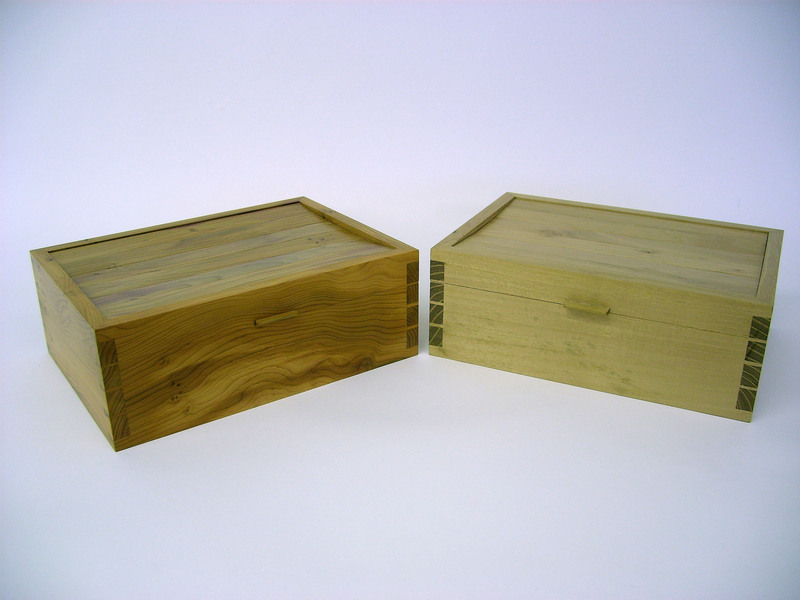 Shown here in “False Acacia” (Robinia pseudoacacia, also commonly known as the black locust), with one example in yew also pictured below. Shellac and wax finish. 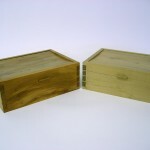 Lined with cedar of Lebanon. 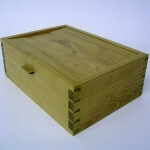 Hi,, crazy to question the wood give as yew for the box in the picture, but it is the strangest yew I have ever seen. My first response would have been sweet chestnut! You are right! 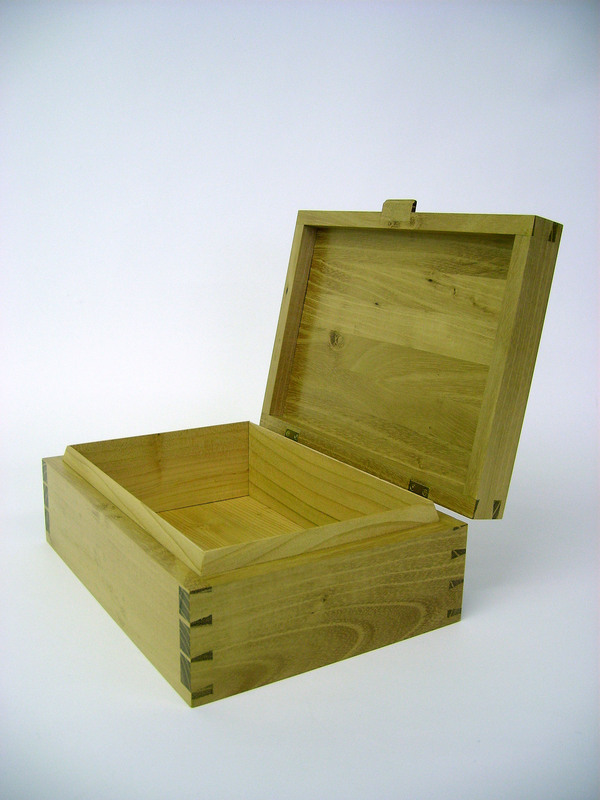 the box pictured is actually in False Acacia (Robinia pseudoacacia, also commonly known as the black locust). 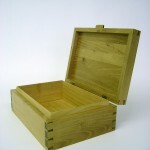 However, there is an example in yew pictured below. Thanks for pointing that out. I clarified the text accordingly. PS – I too am heavily influenced by Krenov…as well as Nakashima and Maloof.